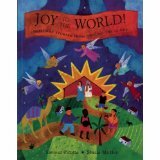 Comment: “And he shall stand and feed his flock in the strength of the Lord… and they shall live secure…” Nancy S. Taylor calls this “the thrilling substance of our Advent hope. In our manifestly insecure world… our God promises a security that the world cannot give.” (Feasting on the Word, Year C, Volume 1, p 74) She goes on to say that our looking to those in power to help the most vulnerable in our world is the exact opposite of Micah’s focus. Jesus is a leader unlike any other, he is our savior and security. “He is bread for our hunger, drink for our thirst, and life for our death.” Readers see directly how Jesus, and not those in worldly power, is the one to fill the thirsty in “The Gourd of Plenty”. The water the Christ child provides Kumbi does not run dry. Comment: “See, I have come to do your will.” These are the words of the savior we have been preparing for this Advent season. According to Jack Haberer, Jesus came not only to save us from our sin, but to shape our character, that our lives might also be lived according to the will of God. (Feasting on the Word, Year C, Volume 1, p 90) As I read the commentaries on this passage from Hebrews, words from a familiar Christmas carol come to mind: Cast out our sin and enter in, be born in us today. 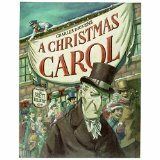 This move from sinfulness to behavior shaped by Christ’s light can be seen in Dickens’s classic tale A Christmas Carol. Scrooge experiences the casting out of sin as the love of Christ in born in his heart one special Christmas day. Comment: In his commentary on today’s text from Luke, Michael S. Bennett focuses on the experience of Mary and Elizabeth. In this story, “God gives [them] two things they each lacked: community and connection. God removes their isolation…” (Feasting on the Word, Year C, Volume 1, p 94) Bennet expresses the possibility that our congregations may be filled with Marys and Elizabeths seeking genuine connection this Advent season. Certainly a great number of people experience more acute loneliness during the holidays. 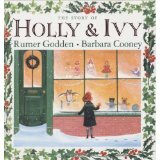 Holly and Ivy are themselves like Mary and Elizabeth, with deep feelings of loneliness, they find an emptiness within themselves. As their story ends, they, too, find community and connection. The Lectionary Links this week are written by regular contributor Noell Rathbun-Book. Lectionary Links: Sunday, December 23, 2012 by Storypath is licensed under a Creative Commons Attribution-NonCommercial 4.0 International License.